Instant noodles is the comfort food that everyone looks for when they are running low on money.. Especially to all the college and university students, you certainly will catch yourself eating this unhealthy dish very often but you just cannot be bother to think about it because you just do not have enough money to get anything else. Well now, even the working people actually enjoys instant noodle. Especially when you are living alone and you do not feel like cooking, instant noodle is the best solution. 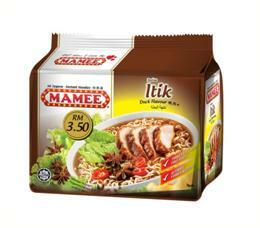 That is why, nowadays there is a lot of instant noodles flavour that might seems odd but it is actually worth a try! MAGGI is a famous brand of instant noodle in Malaysia. 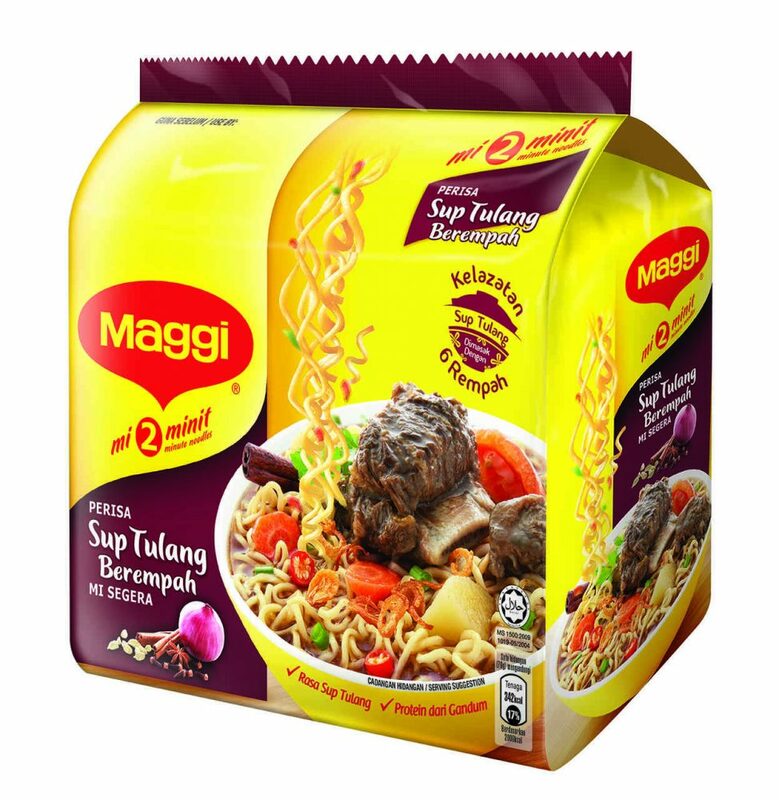 It is so famous that everyone calls all instant noodles as MAGGI even though it is a different brand. Recently, they released a new flavour which is Sup Tulang Berempah. Now if you are craving for sup tulang, you can easily make a bowl of maggi mee and tada, craving satisfied. 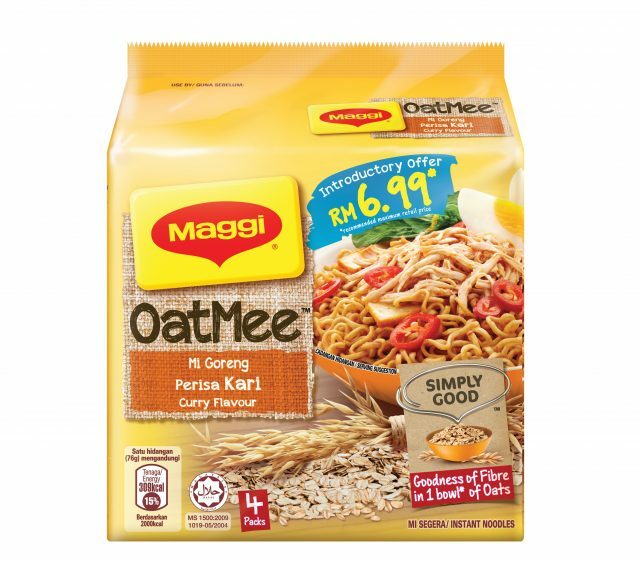 Another creation from the famous MAGGI brand is OatMee. We all know that instant noodle is unhealthy but we still eat it right? Well, MAGGI decided to make a slightly healthier version of their instant noodle and yes you guessed it! Their noodles are made of oat! I have not had the opportunity to try it but if you are interested, you should totally try it! Plus it is healthy for you! You must be thinking itik? Duck? Really? Yes! This flavour has been in the market for a really long time but it seems that a lot of people still find it strange. If you have not try this flavour, you honestly should. It is not that weird actually, it taste good and it is also cheap so why not right? Another one from Mamee is Ayam Pedas Shitake. Shitake is a type of mushroom that is famous in Japan so I wonder what made Mamee decided to make it very Malaysian by making it ayam pedas. The flavor combination just seems odd to me but I think it will taste like mushroom soup with black pepper? If anyone tried any of these flavours before, let us know by commenting! We are honestly curious how does these instant noodle taste like.